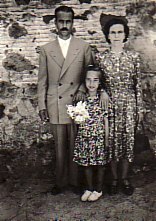 Above: With my parents, Nikolaos and Elpida. Above Right: Ay the panygiri of Agios Anargirios, Klio. L-R: Thalia, Nitsa, Sotiria, Aspasia ane me. 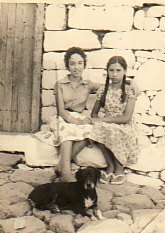 Above: With my cousin, Katina Valamiou (left). 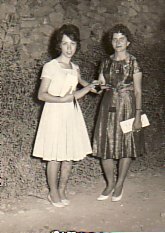 Above Right: At a panygiri in Stypsi- with my friend, Eleni (right). 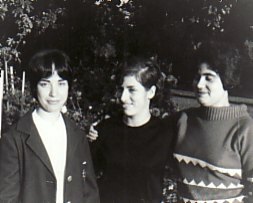 Above: With friends, Ritsa and Despina. 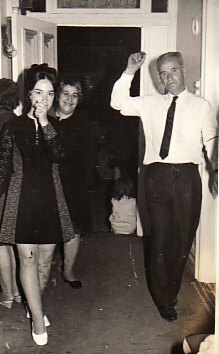 Above: Dancing with my father, Nikolaos. 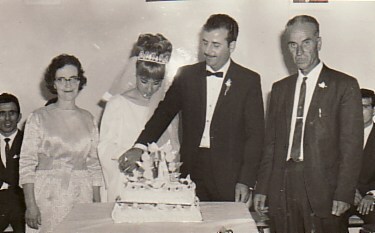 Above Right: With my husband, Emmanouil, and my parents, Elpida and Nikolaos, on my wedding day. 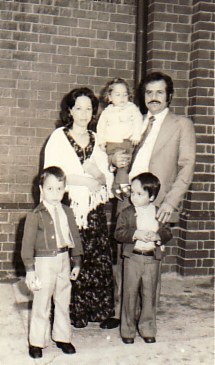 Above: With my husband, Emmanouil, and our children, Ahilleas, Dimitrios and Nikolaos. Above Right: In our family business, the Four ways Milk Bar, in Devonport, Tasmania. 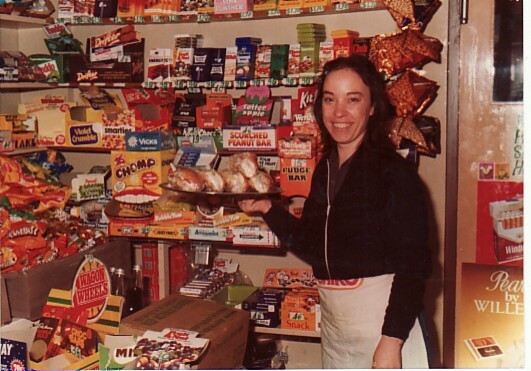 We owned the business for a few years (1982-85).